The True Gossip Home / SONNY WITH A CHANCE DEBUT! SONNY WITH A CHANCE DEBUT! 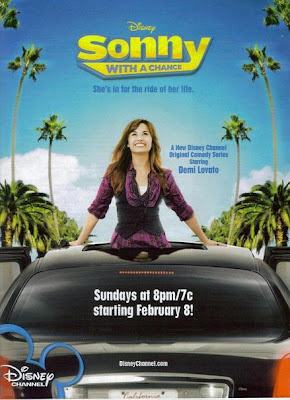 The new Disney Channel show, "Sonny with a Chance" will premiere February 8th at 8/7c! The show stars Demi Lovato. Also, check out our interview with Allisyn Arm, who plays Zora on the show!